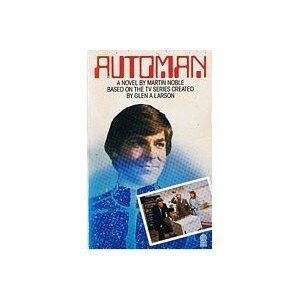 Based on Glen A. Larson screenplay for the pilot episode of the '80s TV series Automan, the book is an entertaining look into the world of computer programmer Walter Nebicher who has created a game called Automan to help with his police work. However it ends up becoming much more real than he planned on, as Walter and Automan are drawn into the intrigue and danger of an international kidnapping scheme. The writing itself is a little bland at times, but that can be forgiven since the author only had the screenplay to work with and perhaps a little suprisingly hadn't seen the filmed version. It's a fairly faithful adaptation with a few added details that might surprise those who are familiar with the TV show. Of course, who can ever forget the car that makes 90 degree turns! Overall, a fun read.